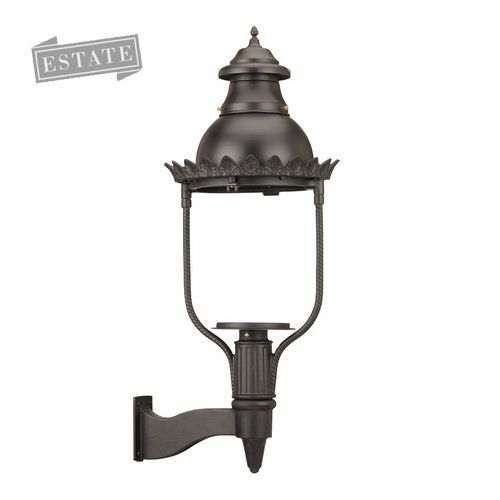 Transform your pool, outdoor living area, walkway or garden with the warm light of open flame gas lamps or torches. Customize any fixture through our Design Studio or choose a pre-customized fixture to expedite your order and earn additional savings. 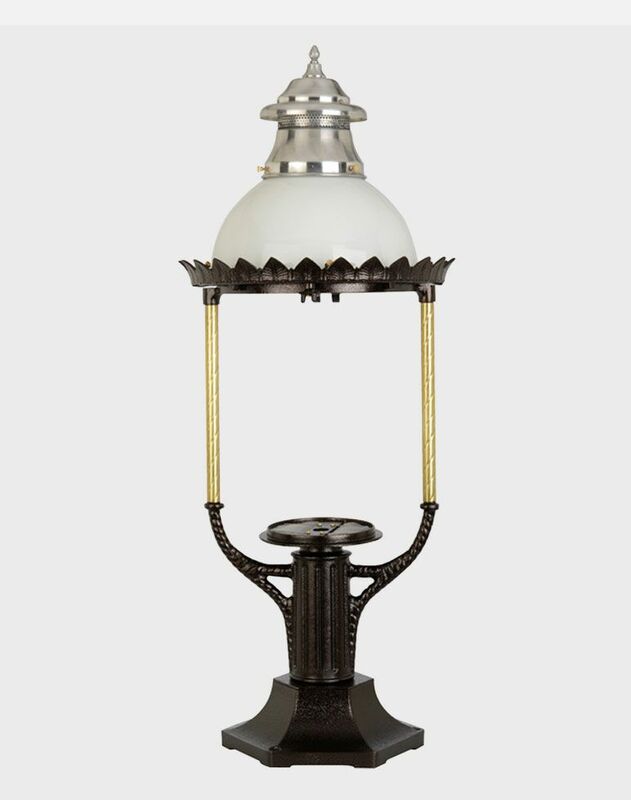 Electric Candelabra Base illumination delivers all the convenience and reliability of standard electric fixtures built into our uniquely sturdy and elegant designs. All of our lamps can be configured with this electric technology. 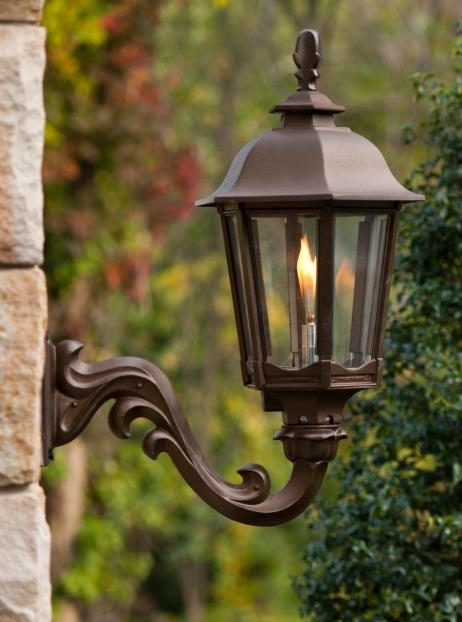 Open Flame illumination is for the discerning homeowner looking to infuse an outdoor setting with the warm, flickering light of an open flame. 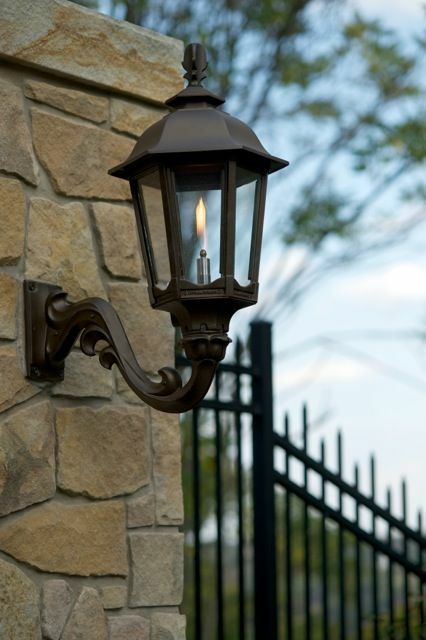 Our open flame gas lamps provide a dramatic ambiance to outdoor settings, entrances and walkways. *Please note: Natural Gas is required for open flame illumination. Watch an open flame lamp in action here. 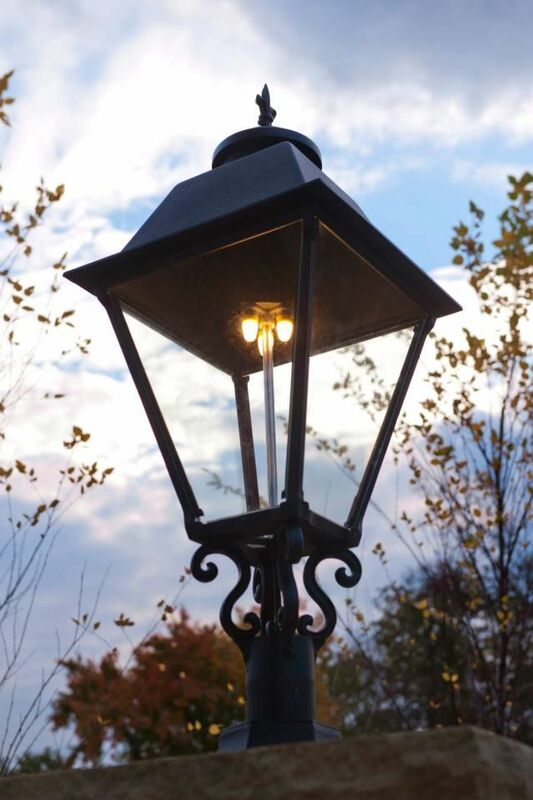 American Gas Lamp Works invented our patent-pending GasGlow® LED technology to precisely mimic the look, color and intensity of natural gas mantle lighting. Our GasGlow LED does NOT flicker like an open flame, but instead, provides a solid, white light. GasGlow® LED lighting delivers the romantic illumination of gas mantles using exceptionally energy-efficient LED technology. Watch a video of GasGlow® LED in action here. View our collection brochure, receive personal recommendations and support from our experts, peruse testimonials, and more. Invented by Carl Auer von Welsbach in the 1880s, Gas Mantle illumination filled the streets and homes of North America and Europe for much of the late 19th and early 20th centuries. 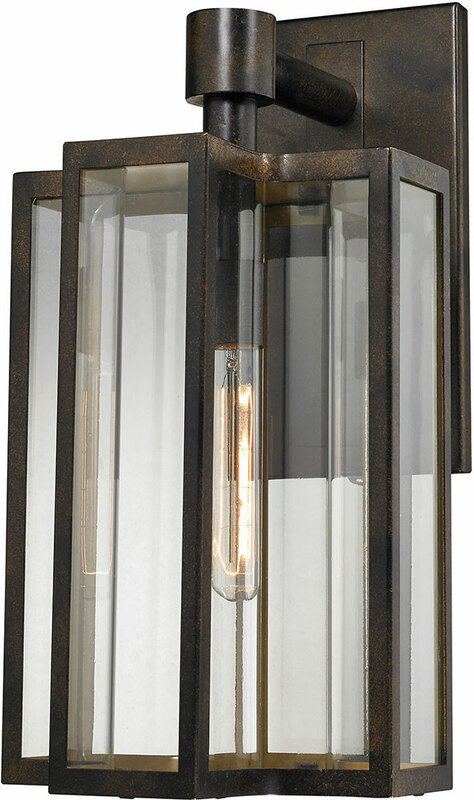 Gas mantle lighting uses incandescent gas mantles to generate a bright, white light when fueled by natural or liquid propane gas, yielding soft, romantic lighting that stays on – even when your electric power goes out. 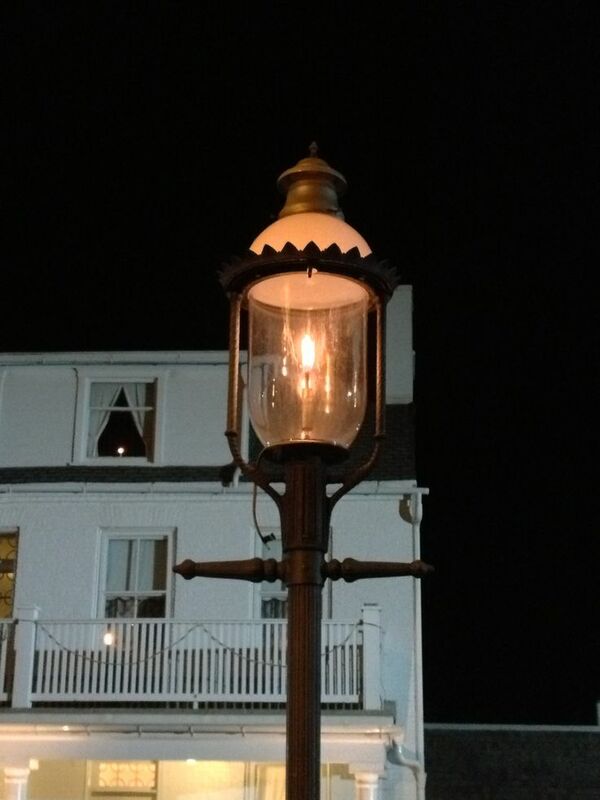 Maintain the romantic look of gas mantles using exceptionally energy-efficient electric GasGlow® LED illumination technology. Browse our collection of photos & videos to find the style lamp & accessories that are right for your residential or commerical project! 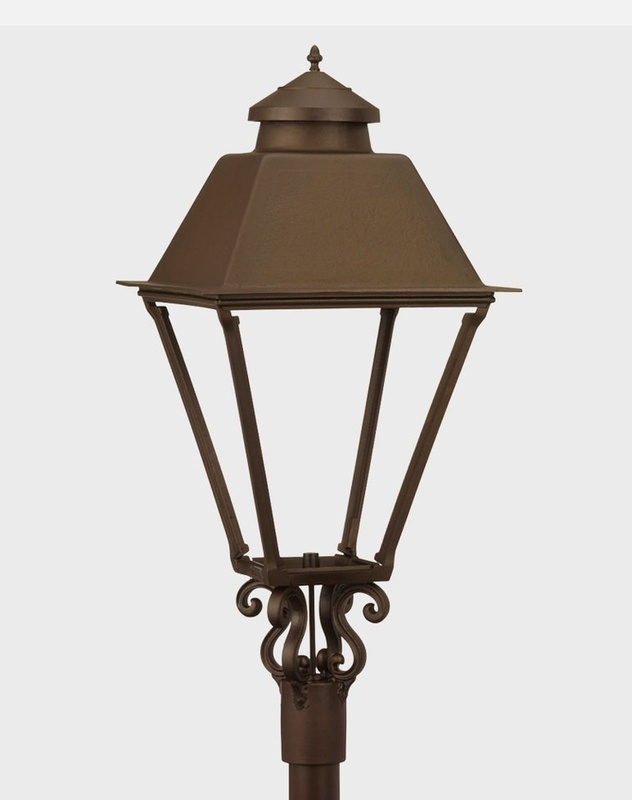 American Gas Lamp Works offers a variety of illumination technologies, each of which adds its own unique ambiance to an outdoor space. From historic gas mantle to 21st century GasGlow® LED, you’re sure to find the perfect fit for your home or community. 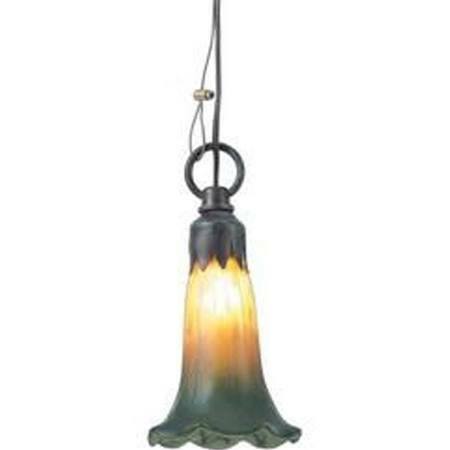 American Gas Lamp Works lamps are available in a variety of styles and designs so you can create the optimal blend of ambiance, performance and efficiency for your unique space.